Many senior-level Federal IT managers would like to use big data and think it could improve their missions, but only 16 percent have full-blown big data programs underway, according to a new survey from Unisys Corporation. The survey, conducted this summer by Beacon Technology Partners, was based on interviews with 100 Federal executives, split evenly between the Department of Defense and civilian agencies. Among the agencies not currently using big data, 38 percent have pilot projects; 18 percent will have a big data initiative in place within the next 12 months; and 28 percent reported they are in the investigation stage. 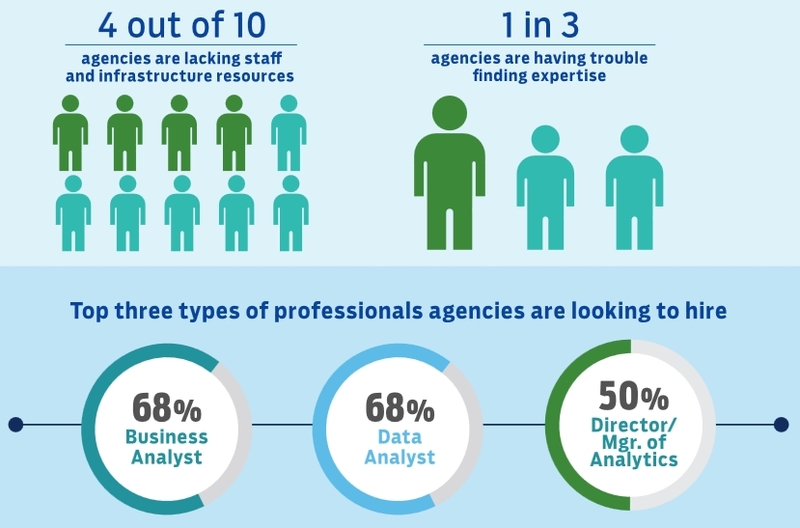 Respondents whose agencies haven’t begun using big data reported that cost, selling the agency on value and projecting return on investment were some of the reasons holding them back. Nearly three-quarters of the respondents were worried their agencies might not have the infrastructure, storage or analysis capabilities needed to use big data successfully. Staffing was also a concern. Thirty-five percent reported difficulty obtaining and retaining the staff needed for a successful big data initiative. Sixty-eight percent of respondents said they are looking to hire more data analysts, and 50 percent are in the market for a data analytics director. Ninety-eight percent of respondents said they will either maintain or increase their use of consultants to work on big data projects over the next 12 months. The agencies that are using big data have been successful, the study found, with 93 percent of those respondents reporting it improved the quality and speed of the agency’s decision-making. In addition, 87 percent said that big data has improved their ability to predict trends and determine risk. According to Rod Fontecilla, vice president for advanced data analytics at Unisys Federal, agencies are currently using big data in initiatives that range from protecting against various threats to evaluating for potential loan delinquency. Diana Manos is a contributing writer for MeriTalk.